National police commissioner Riah Phiyega launched South Africa’s first e-police station in Kabokweni, Mpumalanga on Friday, during National Police Day celebrations. The computerised police station would be able to save dockets and other important information relating to police work and administration, a Sapa correspondent reported. Phiyega was accompanied by deputy police minister Maggie Sotyu and Mpumalanga community safety, security and liaison MEC Vusi Shongwe. It was hoped that taking statements on computers would avoid dockets going missing. 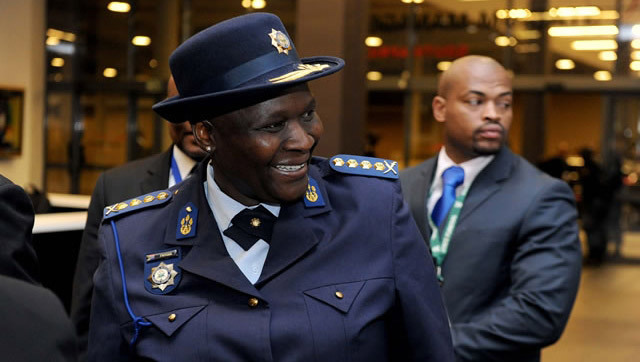 Phiyega said the e-station would be able to track the movement of police cars. “We will be able to see where our officers are spending time with state vehicles, and we will end this thing where state cars are needed and officers are doing their own business. “Now we will be able to track them and call them, and also see the closest car at a time,” she said. Speaking at the Kabokweni police station later, Shongwe said he was disappointed that there were 111 taverns in the area. so will the e-cops be engaged in e-corruption and soliciting e-bribes from the citizenry?